Explore Perth's surroundings by going to Fremantle Prison (in Fremantle) and Caversham Wildlife Park (in Whiteman). Dedicate the 22nd (Mon) to wine at some of the top wineries in the area. 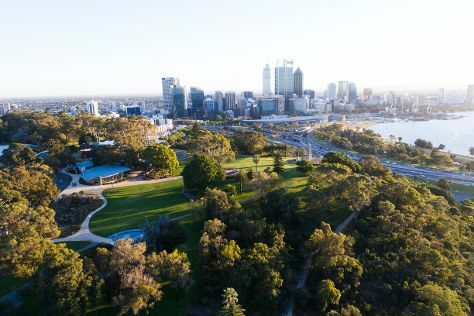 There's lots more to do: admire the natural beauty at Kings Park & Botanic Garden, explore the activities along Swan River, kick back and relax at Cottesloe Beach, and learn about wildlife with up-close encounters at Perth Zoo. To see more things to do, where to stay, maps, and more tourist information, refer to the Perth journey website . If you are flying in from Malaysia, the closest major airport is Perth International Airport. Expect a daytime high around 31°C in April, and nighttime lows around 15°C. Cap off your sightseeing on the 23rd (Tue) early enough to travel back home.